A 30yr old deaf mum of two, who loves tattoos, competitions, reading & the internet. Blogging about my life, the trials of deafness and depression alongside finding work! I enjoy expressing my opinion and am happy to review products and websites. Books I have read in 2013. Decided to make a separate page with all my wins on it. The newest wins will be at the top and I will do my best to make a note of the date I won and the website / method I used to enter. Some prizes may include photos and a separate post on the main page of this blog. To prevent confusion I will only post when I have received the prizes and not when I am informed. This is not me boasting or showing off in any way - initially I want to make a record of my wins - but also to prove to sceptics that you have to be in it to win it - and anyone can win a prize! One direction love hearts. won from life with ASD blog back in november received 20/12/13. £10 Cheque won from Take a Break Magazine (issue 5 cashword) received 1/07/13 GOOD START TO THE MONTH!!!!! Office goody bag (Pink pen, chocs, teabag & cup) Celebrity angels - Received 6th April) - entered through a website. Visionary Soap Company - selection of fair-trade organic goodies - won through Facebook - Won in January. Cloud freebies - £25 voucher - won on website - see seperate post. Social media and raising awareness of little known illnesses and incredible people! Now social media like Facebook and twitter can cause a lot of problems for some people - you only have to watch an episode of Jeremy Kyle and hear about some relationship destroyed by facebook. In fact there are TV programmes devoted to mishaps from social media sites. But Facebook can be useful in many ways..... Through it I have being educated on several inspirational people who are undergoing difficult times but still remaining positive and who work endlessly to promote awareness of their suffering. The main page that I follow is Claudia's Cause this is about a young girl who has Metastatic PineoBlastoma a rare and aggressive tumour within her brain. Her family are a huge inspiration to me when I am feeling low and fed up, what they are going through on a daily basis is unbelievable. As a mum I find the whole family brave and incredible and I do feel honoured that through the regular updates we can be a part of the struggle with this horrible incurable illness. As well as round the clock intensive nursing the family are big fundraisers and advocates for charities such as Headsmart an organisation devoted to helping diagnosis of brain tumours in children and young adults. Clic sargent a charity for children with cancer and Believe in Magic who help provide wishes and dreams for really poorly children. Only recently a Ball was held as a fundraising project and over £8000 was made to help these well deserved causes. It is this I find truly inspirational..... I don't know if I could have the energy or love to work tirelessly for others at the same time as witnessing the huge suffering of my child. I would like to think that I would be as generous with my time and as positive as Claudia's mum and dad, but in reality I think if I was in a similar situation I would fall apart. Only a couple of years ago I watched my dad going though a similar illness and I thought it unjust and cruel because he was only 50. Perhaps it is witnessing his pain and strength that made Claudia's story appeal to me so much? She seems to have the strength of a million men and seems to be fighting tirelessly against this disease which is debilitating her. It has touched me so much that I log into her page on a daily basis just to see how she is and how her amazing supportive family are doing. But when I have been reading the updates it seems to me that people are messaging offering their 'not so supportive advice!' This annoys me so much- how dare people pass judgement on this family when they are not walking in their shoes???? Could they help raise awareness and funds to help others when going though such life changing events?? Yes we as readers all have an opinion when someone is sharing intimate details of their lives with us....but respectful people would keep these opinions to themselves. That is just my thoughts anyway.... I wanted to help raise awareness of this amazing family and worthwhile causes they campaign for. I would love to be able to contribute more and offer a financial donation to the charities but until I get a job I am unable to. So if this post makes a few more people aware of the illness then I feel that is ok for now.... as soon as I am in a position to donate then I will. I remember this date 12 years ago very vividly. I know a lot of people will because of the enormity and scale of the attack and those in America specifically will remember it even more and probably for more personal reasons than me. But I still like to show my respect and think about those who experienced 1st hand the events of that date. I was 18 when it happened and had a 2 month old premature baby, which is why I think it hit home to me a lot more than if it had happened before my little boy was born. My son was ill when he was born and spent some time in special care - however he was cradled in my arms and I was snuggled up on the sofa watching my daytime soaps and telly. As a new mum I was absorbed in every little facial expression and movement my son made when all of a sudden I looked up at the telly. (I couldn't hear the change from the soap to breaking news bulletin because I was still deaf back then!!) But what I witnessed live on the news shocked me to my core! From the moment I turned the volume up I was engrossed in the events unfolding before my eyes. I wasn't even aware of these 2 skyscrapers towering above New York until this point - and to see the 2nd plane hit and then the subsequent falling down of them both made me cuddle my son that little bit tighter. As the years have passed I have always spared a thought to those involved closely to the days events, I have also since watched documentaries which focus on the events and heroes of the day. But today it is really important in my opinion to think about how lucky I am to be able to watch my kids grow up and become young adults. Broken arms and operations - the 2nd week of summer holidays! ! ! ! ! ! So it is the 2nd week of the school holidays and I decide that my son (who is 12) needs to come off his XBox for a bit and get some fresh air and exercise. With 2 dogs needing to burn off some excess energy and a 8 yr old daughter wanting to go on a bike ride I had the bright idea of taking them all the field at the top of my street! It was about 3pm on Tuesday and the sun was shining and all 4 of them were having fun..... until my son fell off his bike! As a mum you can tell with the pitch and tone of their cry that they are in pain so without thinking I set off into a sprint to see what was up with him! Holding his arm gingerly he said "Mum Ive broken my arm!!" As you can see from the photo it really did look like he had done some damage! It was banana shaped!!! So we took him to the local Accident department where he was seen very quickly. An xray did confirm that it was broken but the break was bad with the bones not aligning! He had a plaster cast put on and then another xray which told us that unfortunately he needed an operation to realign the bones so they healed right! The hospital we were in did not have an orthopaedic team so we ended up travelling to Pinderfields hospital- children's ward. With his operation first on the list for the following morning we brought him home so he could rest here and have some nice food - I am firm in my belief that you feel better in your own surroundings! It was a bad night for both of us though - I didn't get a wink of sleep and he only managed a hour at the most! He was in so much pain!! By 7am Wednesday morning we were back in the children's ward and he was booked in for his surgery. I went down with him for his general and found it so difficult to see him so vulnerable and in pain - but thankfully all went well and he didn't need a pin putting in. By 1pm we were at MacDonalds drive through buying him his happy meal to take home! Settled on the sofa his shock finally set in and he was sick a lot - he still couldn't sleep much because he couldn't get comfy but he looked a little bit better than the day before! Now it is 2 days later and although he is fed up - he doesn't hurt and can almost manage to get back on his Xbox!! We have some more appointments at the clinic to see that it is healing right but hopefully things will go ok!!! I consider myself lucky because this is the 1st time in my 12 years of being a mum we have had to go to casualty with a childhood accident! The hospitals were amazing but even better my little girl is being fantastic and so helpful. Even though it is horrible he has gone through this it is nice to see how close we are as a family and supportive when times get tricky! Royal Baby Ramblings - viewpoints on the whole excitement from me and my daughter!! 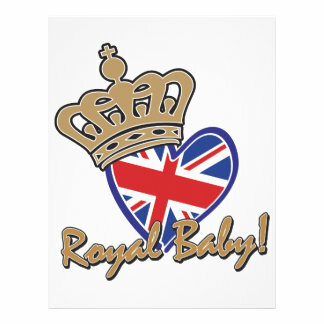 Whilst watching all the coverage of the Cambridge's birth and the following celebrations I got called a Royalist! I would not say I was a Royalist exactly but as a history lover I think anything to do with the Royals will be talked about for years to come so I like to make sure I am aware of it and keeping an eye on current affairs! I did fully get caught up in the hype of watching the Lindo wing door on a live webcam even though I knew that the likelihood of seeing something was slim. I got so engrossed I even missed out on about 4 days worth of entering competitions! (Even the many comps that were about the Royal birth!!) Yesterday when I was waiting for the new family to emerge I even delayed making food for the kids so I didnt miss anything! So yeah perhaps you could say I have Royalist tendancies! But I never saw any significant Royal Births before and I do admire Will and Kate so much for their obvious love for one another so think they will do a fantastic job of combining royal duties with making happy memories. Watching the coverage was a first for me having been to young for Wills and Harry's - but to me this was even better because my kids watched it too we get to share the memory together. Now in years to come me and my little girl can say "Yeah we watched Cambridge Junior on the telly for his 1st royal wave!!" "I think the Royal Baby will be a King full of courage and keep to the law. When I watched the News I thought he was so cute and I thought that Will and Kate will make good parents. I also think he will be clever when he is king! His mum and dad will look after him very well and the Queen will also love him." It would be nice now if the family could have some time out from all the media intrusion, although I think William will ensure that they do! They should be able to go about things like walking in the park and meeting up with family without the fear of Paparazzi following them everywhere! But I probably have this view because of what happened to Princess Diana - you can't help but think of her at this emotional time. She would be so proud of how her two boys are handling themselves in this modern world! Ive got no motivation (and even though I can not say that without the Greenday song dancing around my head) this lack of motivation is not helping with my blog posts!! I would like to say I have been super busy trying to change the world or training for a marathon - however that would be lying!! Ive spent more or less this past month trying to sort out the families financial situation seen as the other half is now unemployed due to his ill health! Entering competitions (for a change), battling with my ears and the ENT Docs (for a change! ), helping kids with their homework (both have huge projects due in within 2 weeks). I have also been signing up to Uni after finally coming to a massive decision about my career! So in a quick round up - being doing well with my competitions - won quite a lot this month (Feel free to check out the specific page on this blog dedicated to my wins!) had to sell quite a few of the prizes so I can afford clothes for the kids. But I have had some nice beauty treats which I have kept because like any other girl I like to have a bit of a pamper every now and again. I'm now trying to win a few things to put away for Christmas! I know that it is months away but unless my lotto numbers come up it will be a huge struggle financially - if I can win a few things to stash away and wrap up in December I am sure my purse would be grateful. So fingers crossed I will have a few more wins - I got a £10 cheque this morning so I am hoping it is a sign of things to come! The financial situation is too boring to explain and I will end up going on a rant about the economic climate and current affairs - but slowly we are battling agencies and government policies to try and stay alive. My ears are even more boring to talk about but its a massive part of me so I am not going to spare the details - since November 2012 they have been leaking that yucky gunk! Well finally they have just stopped piling me with Anti-biotics and drops and have changed their tune. Apparently it is mucus which is leaking from my ears - so I am now on an intensive course of flushing out my nasal passages for 6 weeks to see if this helps? At the moment it is painful on my sinus' and does not seem to be working on the wet lugs - but its early days and I want to give it a fair shot! In general my hearing is rubbish and sometimes even with my aids in sounds are muffled and can be difficult to understand! It is so depressing when it is constant and the hospital just seem to shrug it off as it is nothing. Would they like gunk dripping from their ears for 6 months? Probably not so why do they seem to think that it is nothing to me?? Oh and saved the most important update for last - IVE SIGNED UP TO UNI!! Again - and at the moment it is only Open University but I have studied with them before and am happy to have another couple of years with them whilst I try to sort out a degree! Because them I am going to a local Uni to do my PGCE which is Post Graduates Certificate of Education! I want to be a teacher! Well always wanted to be a teacher but life happened and circumstances told me otherwise! Well now since I have been volunteering with my daughters school I have realised how fulfilling and rewarding I find it so I figured why not reach for the stars and get my degree!! So in a nutshell you have the reasons I have been absent from here for a while. I am sure I will add more updates on Uni and my ears in the future - I will also pick up my A-Z of dislikes when I get the chance!! A - Z - D Drink drivers and the drinking youth culture!! Times are hard in this country and I do not begrudge someone wanting a tipple to take the stress of the day away! But I do believe that one drink can lead to more and stresses can mean some people find it hard to stop drinking even when they are over their personal limit! For this reason unfortunately I can not see this problem getting better in the future- the government make so much tax on the sale of alcohol that they will not take measures to prevent this excessive drinking. They will not make it harder to buy alcohol when they can earn money from the sales. The state of the economy will mean more people will want a drink to eradicate the stress of life and in my opinion the country will get worse before the country improves. So I have a feeling this pet peeve of mine will continue for a long time - how many people will suffer from alcohol related accidents in the mean time???? Unusual mum of 2 always happy to express opinions. Mrs Rebecca C Austerberry. Picture Window theme. Powered by Blogger.